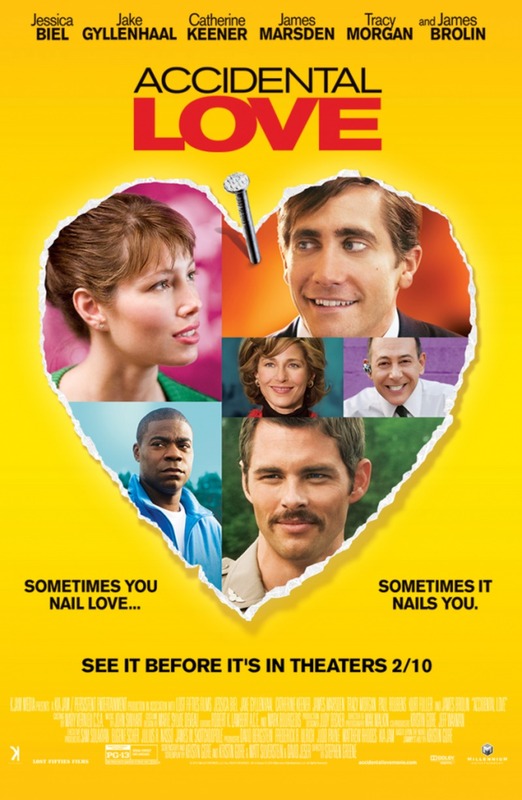 Accidental Love DVD and Blu-ray release date was set for April 28, 2015. Alice Eckle is a waitress from a small town, and she is happy to remain that way, but then one day a bizarre accident occurs and changes the trajectory of her life. She winds up with a nail stuck in her head, and it has a marked impact on her behavior. She decides to go to Washington, D.C., suddenly all fired up to make a difference in the world. Once she gets there, she captures the attention of a congressman named Howard Birdwell. He falls in love with her and wants to help her, but his inexperience often thwarts him.